MILWAUKEE, WIS. - The national law firm of Quarles & Brady LLP announced that John W. Daniels Jr., chairman of Quarles & Brady LLP, received the "Friend of the University Award" from the Marquette University Alumni Association. The criteria of the "Friend of the University Award" are distinguished leadership and/or service to Marquette University by a non-alumnus/alumna and are given when appropriate recipients are identified. Daniels was selected for this award as a dependable supporter of Marquette's Urban Scholars Program, which provides 10 full-tuition awards to academically promising students from disadvantaged backgrounds in Milwaukee-area high schools and Cristo Rey High School in Chicago. He was also named one of the "50 Most Influential Minority Lawyers in America" by the National Law Journal. 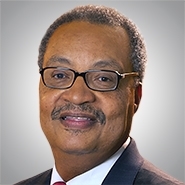 "I am honored to receive an award from Marquette University, not only because many attorneys at Quarles are alumni of that distinguished institution, but because I share, personally and professional its mission of excellence, faith, leadership and service -- it is a reflection of our shared, sincere commitment to a just society," said John W. Daniels Jr.